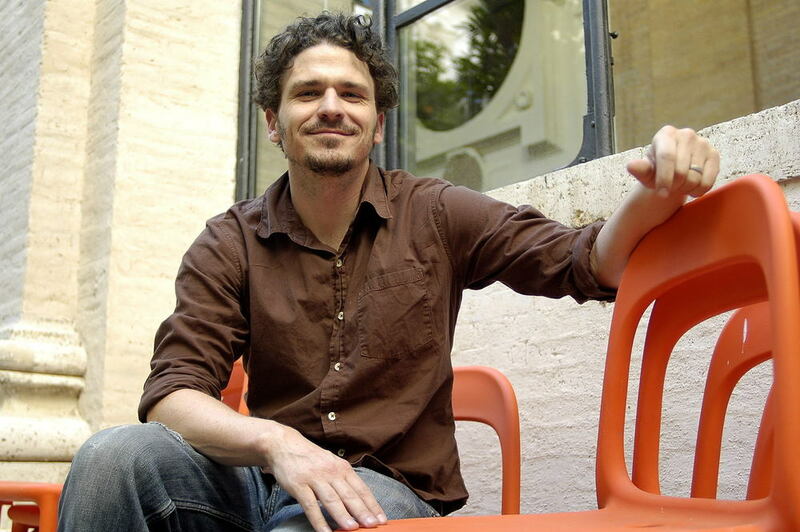 Are you familiar with the work of Dave Eggers? If not, you should find the book A Heartbreaking Work of Staggering Genius and read it immediately. Dave Eggers wrote it, along with a handful of others that I love. He wrote the movie Away We Go with his wife. He also founded McSweeney's and 826 Valencia, both of which do incredibly good work that I appreciate and believe in. And if you're not down with the things he says in his TED Prize Talk, I'm not sure we could ever be friends. You might say Dave Eggers is one of my heroes. Which is why meeting him is one of the things on my Bucket List. Which is why I drove to Boulder yesterday afternoon, purchased a copy of his newest book, and was the first one in line to speak with him when he arrived for the signing. I overheard the booksellers talking about how they'd heard that Dave Eggers doesn't do readings because he gets nervous speaking in front of groups, so instead he does signings and really takes a few minutes to talk with each person who shows up. I got overwhelmed with anxiety because I'd had way too much caffeine and not enough food and I was SO excited. He arrived about 15 minutes early, sat down, asked me my name, signed my book, and proceeded to ask me all kinds of questions about myself and my experience teaching in DPS and whether or not I took advantage of any of the ProComp incentives. I wanted to stay and talk with him for an hour about it all, plus how much I admire the work he does and how Dann and I loved Away We Go so much that we chose that Alexi Murdoch song for our first dance at our wedding. But there was already a line forming behind me, so I asked for a photo and went on my way. Interestingly, my eyes were half-closed in my photo with Anne Lamott. It wasn't until I got in the car that I read what he wrote on the title page of my book. Thanks AND hope. Man, what a guy. And that, my friends, is how a bucket list gets BUCKETED.